Do you or someone you know have an interest in being a servant leader, living and serving alongside one of the ELCA’s global companions? ELCA Young Adults in Global Mission (YAGM) is a one-year international service-learning and faith-formation opportunity for young adults, ages 21 to 29. 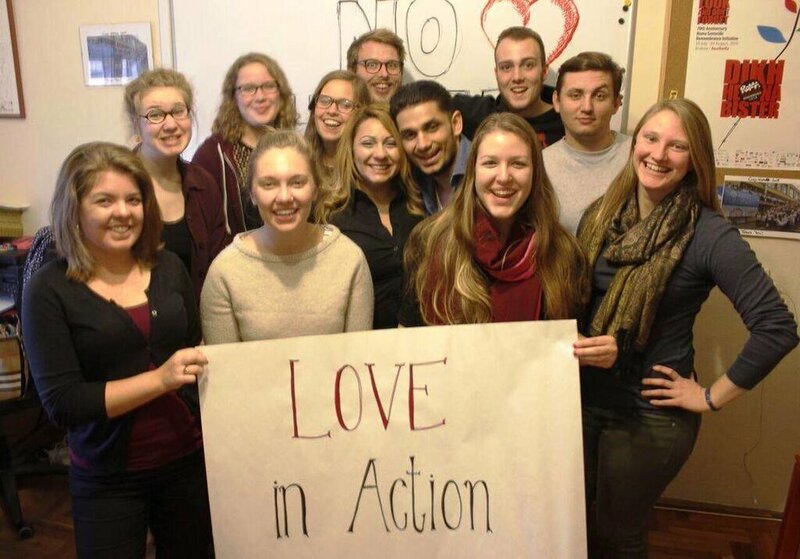 Young adults serve alongside Lutheran companion church bodies and organizations in one of 11 country programs, being shaped by the witness of our global neighbors in a cross-cultural journey of faith. Service opportunities exist in Argentina, Uruguay, Australia, Serbia, Cambodia, Jerusalem/West Bank, Madagascar, Mexico, Rwanda, Senegal and Tanzania. Areas of service include, but are not limited to, health and development, congregational ministry, human rights, education, homelessness, addiction recovery, women’s issues, and children and youth. All site placements provide opportunities for young adults to confront issues of wealth and poverty, racial privilege, economic disparity and globalization through the lens of faith. Applications are open now through Feb. 15, 2019. Learn more and apply TODAY: elca.org/YAGM. This year, more than 70 young adults will have the opportunity to take part in the ELCA's Young Adults in Global Mission program. Volunteers are placed in a variety of roles in one of eleven different countries across the world.